Winter is the time for drinking chai, and by chai I mean all the warming winter spices blended and infused into tea. This winter herbal chai has been my daily blend for the last month or so and it’s full of lots of goodies to keep the winter body well and balanced. Plus, it simply tastes delicious with no need for sweetener or diluting down with milk. Like many herbal students, when I first began to study herbs, I was especially taken with all the more complicated ways to ingest or use them, not really factoring in how much value drinking them in tea can have. As it turns out, when the scientists decide to determine nutritional values of foods in the lab, herbs and spices consistently rank as especially potent sources of nutrients, but we never seem to eat enough of them to add much value. That is, until drinking daily cups of herbal tea. This blend has many of my favorites for assisting proper digestion (fennel, ginger, coriander, licorice), supporting the immune system (ginger, orange peel, astragalus), regulating blood sugar (cinnamon), and helping the liver detoxify heavy meals and daily toxins (dandelion root). Plus, it is a well-rounded combination of sweet, spicy, warming, and just enough bitter to balance. One of the slightly less common and optional herbs in this blend is astragalus. Astragalus root is slightly sweet and warming, and it is best known for its ability to stimulate the immune system, thereby helping to prevent viral infections such as the common cold and flu, as well as assisting cancer patients undergoing chemotherapy by preventing immunosuppression (1, 2). Additionally, though not listed above, astragalus has also been shown in research trials to assist in healthy digestion and blood sugar regulation, so like most herbs, it’s uses are multi-faceted (1). Astragalus is a well-known and used herb in Traditional Chinese Medicine, and under that paradigm of medicine, it is not recommended to use when suffering an acute infection, because it is believed it can feed the illness. (1, 2). When it comes to brewing herbal teas, there are two general methods. The first is boiling water and then pouring it over the top of the herbs to infuse, as is traditionally done with black and green teas. (Dunking a bag of tea into warm water does not have the same brewing effect, mind). This method of boiling water over herbs is called an infusion and it’s usually done with blends that consist of leaves, flowers, and aerial parts like chamomile, holy basil/tulsi, lavender, and the like. 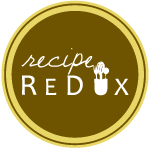 The second method is called a decoction and it is how to properly extract the flavors and medicinal constituents of roots, heavier spices, and sometimes dried berries or fruit. This method is a touch more time-consuming because the herbs are gently simmered on the stovetop in water for 20 to 30 minutes. This herbal chai involves the decoction method of course, due to the ingredients, and the best way to do it is to make a big pot and then reheat and drink the tea for a couple days or more rather than making multiple small pots each time. If you do not quite have all the ingredients for this blend, don’t despair. I’ve listed them in order of most important in terms of flavor, so if after the star anise you’ve exhausted your immediate resources, make as is and enjoy. Licorice, dandelion, orange peel, and astragalus are more commonly found at well-stocked bulk shops or online from herbal shops such as Mountain Rose Herbs (my local favorite). Additionally, the orange peel does add a lighter, citrusy quality to this blend, and the flavors will be deeper and more spicy, more like a traditional chai, without. Combine all the ingredients in a large saucepan, covered with a lid, and bring it to a boil. Reduce the heat and simmer for 20 minutes. Use a tea strainer or fine mesh strainer to filter the tea into mugs or into a clean container to store it in. Serve immediately or alternatively, store chilled and reheat over the next couple days. 1. Braun, L. and Cohen, M. (2015). Herbs & Natural Supplements: an evidence-based guide. (Vol. 2). Chatswood, NSW, Australia: Elsevier. 2. Winston, D. and Maimes, S. (2007). Adaptogens: Herbs for Strength, Stamina, and Stress Relief. Rochester, VT: Healing Arts Press. This looks so comforting! Thank you for sharing your wealth of knowledge about the benefits of herbs. It can be hard to find reliable sources of information on the topic so I’m glad I came across this! Wonderful chai, perfect for the winter nights! Like your choice of spices used in here.